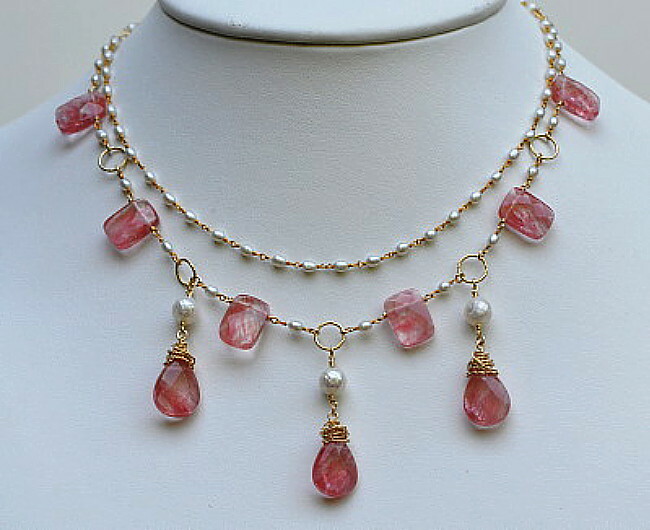 Cherry Quartz or Cherry Volcano Quartz is a man made stone. It’s not quartz at all. It’s such a pretty color, peachy pink. 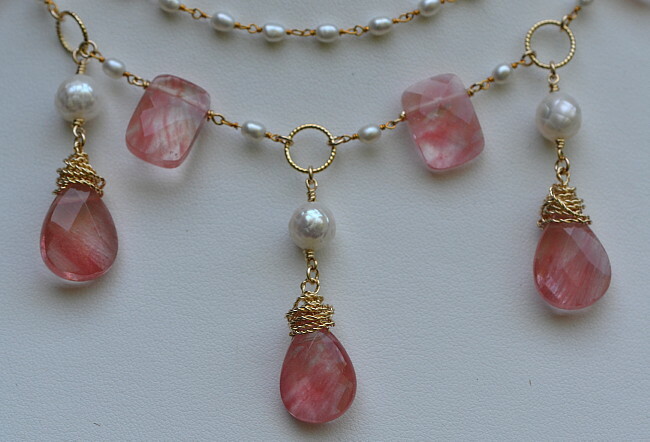 Here I mixed it with tiny freshwater pearls. The drops have “Faceted” pearls that you can really see in the last photo. These are fresh water and I like the texture of the surface or I wouldnt use them. I used gold filled chaining and circles. 14k gold filled wire wraps. So nice!! wow you inspire me with great ideas Zee, I love you work, blessings my friend!! You re welcome, 🙂 Yeah, It’s true, the best part is to share what we love doing, wow it’s so cool, Thank you Zee, blessings! My name is Allison, but most call me Allie. Surely I dont mind at all being called Zee 🙂 Where ever inspiration comes from is great! These are just plain STUNNING !